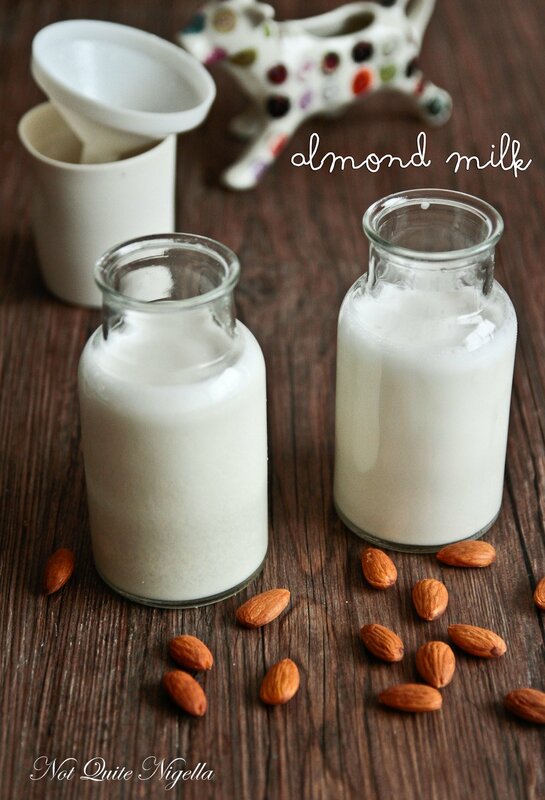 DIY Almond Milk in Two Minutes! I realised several years ago that my in laws were ahead of their time. Being alternative hippies meant that they were eating wheatgrass, tofu, tempeh and raw food decades ago. I've decided that I'm going to watch what they eat now, invest in the industry and then 20 years from now I will strike it rich. They're also fairly adept at new technology and Mr NQN's mum Tuulikki texts faster than anyone I know and uses her iPad for so many things - far more things than I do. There are times of course when technology confuses or confounds her. She was telling someone about the car that we drive. "Yes my son and his wife drive a laser powered car!" she exclaimed excitedly. We giggled of course, it's a hybrid, not a laser powered car although who knows, she may be onto a new thing or idea...BRB I'm going to invest in laser powered cars! One thing that they've been drinking for years are milk alternatives. 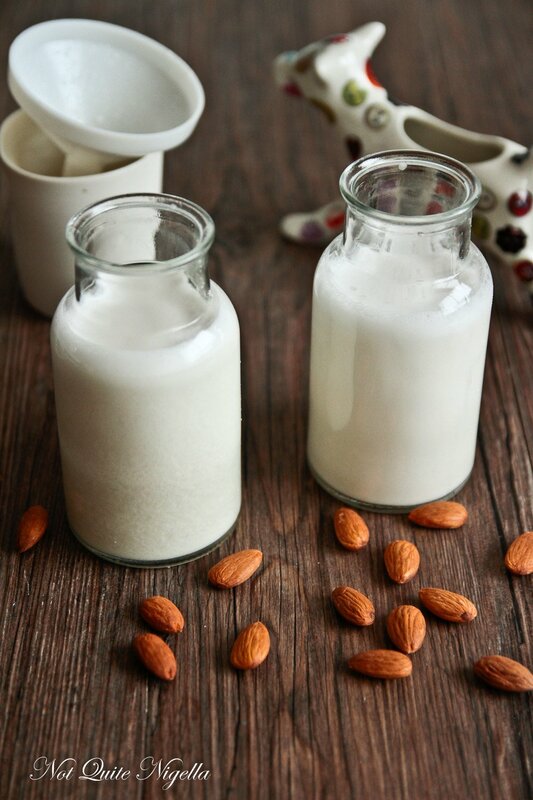 One popular alternative to soy or rice milk is almond milk. I didn't realise how simple and quick it was to make yourself until a Dear Reader Wendy shared with me the recipe that she has been using for 20 years. All it requires is grinding up almonds with water. Wendy's recipe uses whole raw almonds as she doesn't like a strong almond taste but I prefer a stronger flavour to my milk so I used ground almonds instead which cuts down preparation time too. It's very easy and tasty and you can control how thin or creamy you want your milk according to the amount of water that you add. I have to say that it is a really tasty alternative to milk and I'm going to start trialing it for a week or two to see whether it makes a difference to my skin and health. It also makes a mean smoothie too and once you have your banana, cinnamon and fig, it's really quite hard to tell the difference. 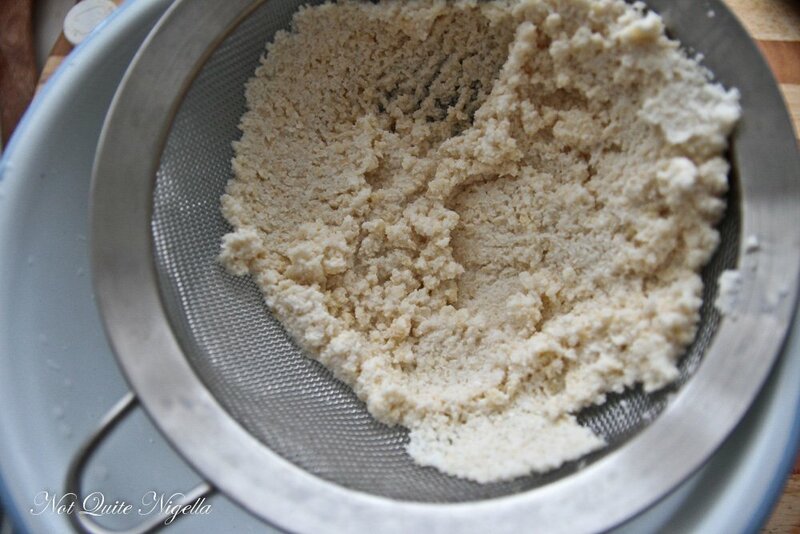 The leftover almond pulp can remain in the drink if you're making a smoothie or you can also use it to bake cookies with too. If I am having it in tea or coffee I strain it. Also since Wendy had kindly shared her recipe, I shared a storage tip with her. 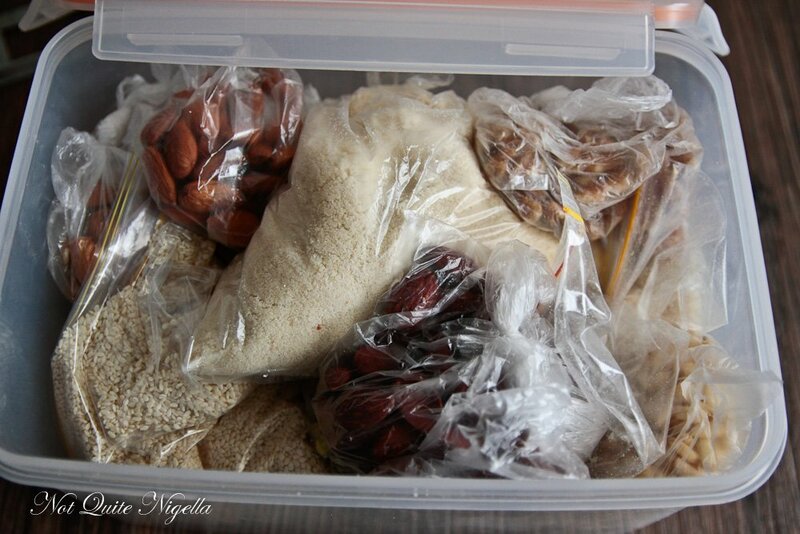 I've mentioned it before but I store my nuts in the fridge in a container like this below so that they remain fresh. You can also store your nuts in a freezer. The coolness helps prevent the oils in the nuts from going rancid which is what makes them spoil. So tell me Dear Reader, do you use any milk substitutes? What diets have you tried in the past? 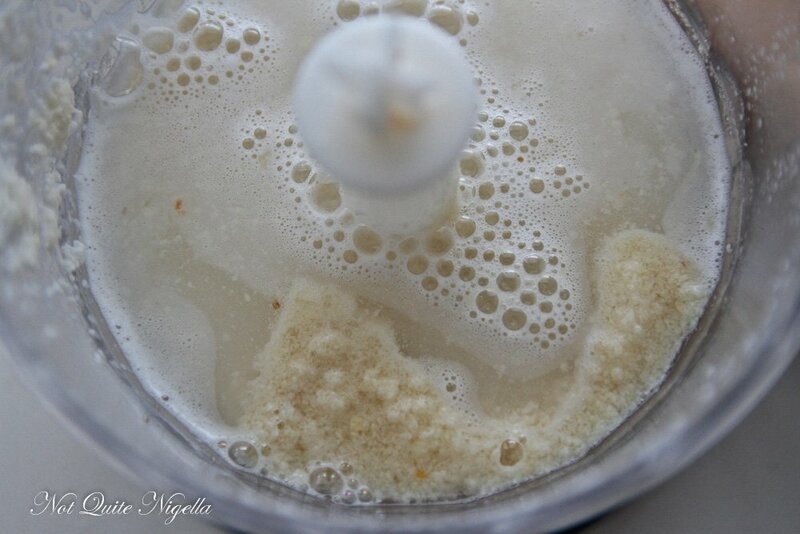 Step 1 - Blend the ground almonds with the water until you get a creamy milk texture. I prefer this strained as I have it in tea and coffee but you can use this straight in a smoothie as the almonds give it a nice texture. Try a smoothie with honey, banana, figs and cinnamon. *If using whole almonds (this will take longer) first cover the almonds in boiling water and soak for 10 minutes, strain and place in a bowl of ice water. Peel the skins from the almonds individually and then process with water. recipeSpicy & Saucy Bloody Mary Ketchup! recipeHave You Tried Banana Milk Coffee? It's The Latest Coffee Trend! 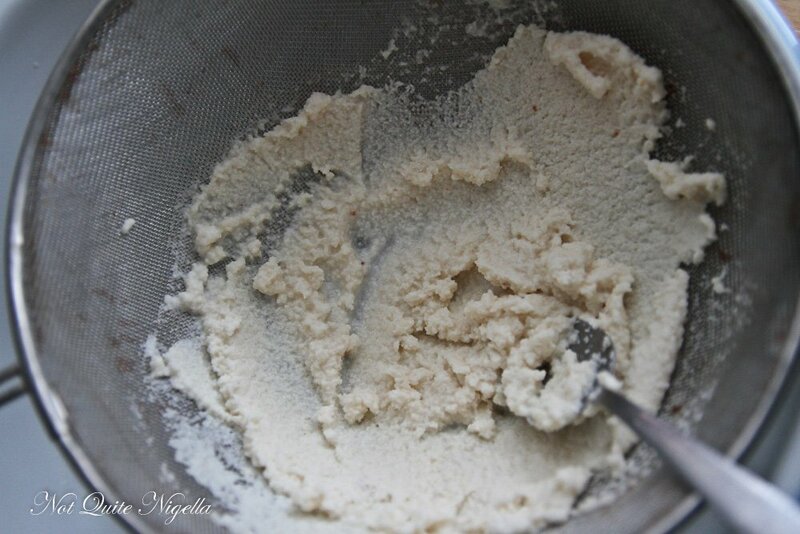 recipeMake Your Own Red Wine Butter From Scratch! 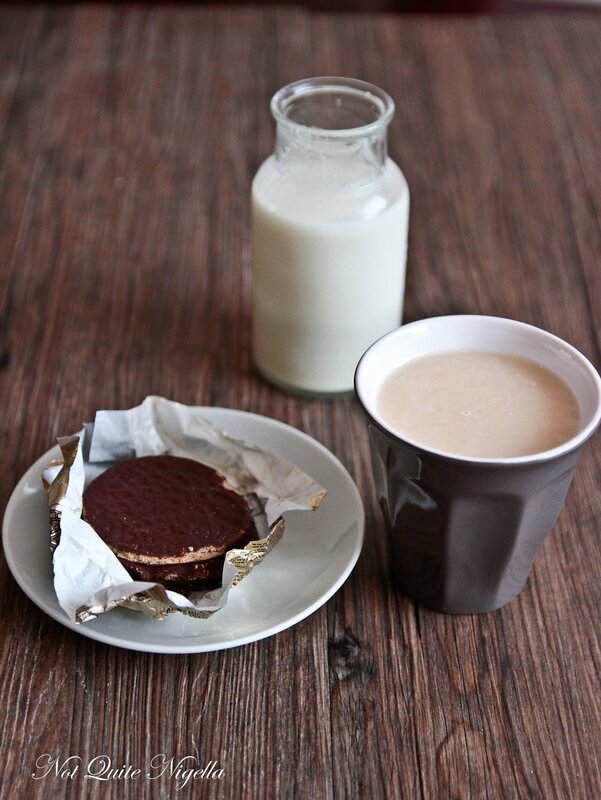 recipe Have You Tried Banana Milk Coffee? It's The Latest Coffee Trend!